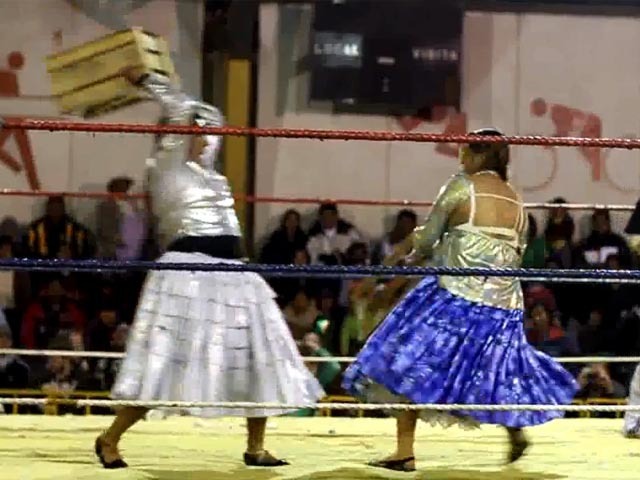 (CBS) - And now for a sneak peek into the wild world of cholita wrestling. Combining all the best elements of Lucha Libre, WWE and beauty pageants, this "sport" has something for everyone to enjoy. Though the main thing it has going to itself is women in colorful dresses beating the crap out of each other. Fun for the whole family! "The historical sting of racism is just below the surface, so if the world cholita escapes your lips, you had better make sure that it's used respectfully. Like this: "Holy Christ, watching those two cholitas kick the hell out of each other was the craziest thing I've ever seen."